interest_rate – an annual interest rate of a loan. Let’s look at the structure of the data we will use. In column B, we have the period. 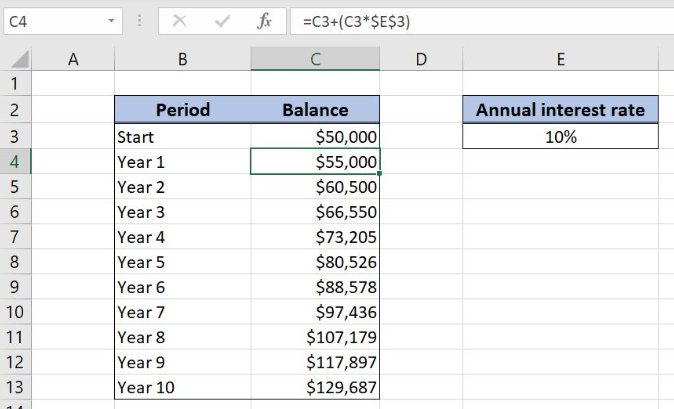 In column C, we have the initial balance and want to calculate the balance for each period. In the cell E3, we have the annual interest rate. In our example, the initial balance is $50,000 in the cell C3, while the annual interest rate is 10%. Based on these two values, we want to calculate the balance for each period in column C.
The parameter initial_balance is C3, while the interest_rate is in $E$3. Note that we need to fix the cell E3, as the interest rate is the same for all the periods. 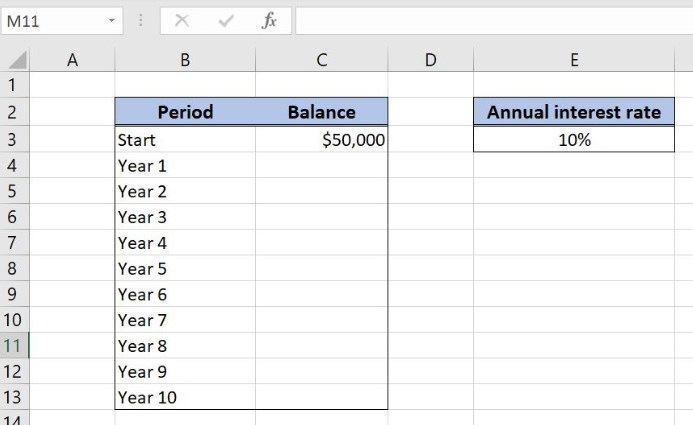 The initial_balance for every period is the balance from the previous period. The result in the cell C4 is $50,000, which is the balance for the first year ending, based on input parameters.